Whether you lead a busy lifestyle or you simply don’t feel an expert in baking or you just want hassle free cooking, then you will love our Easy Bake products! 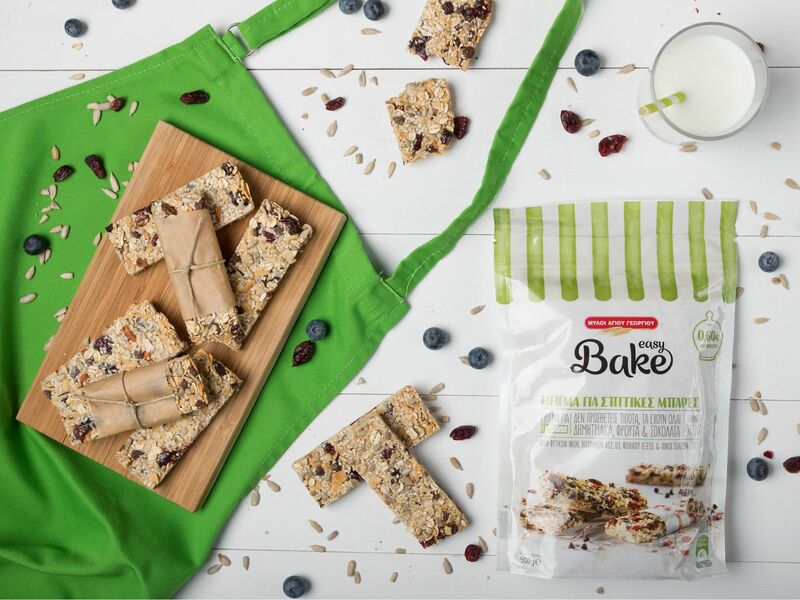 Saint George Mills present Ease Bake mixes to provide you with simple, quick and various delicious goods for the whole family and your friends. Focusing on developing top quality products, Saint George Mills has launched a full series of Easy Bake mixes like snack bars, muffin, pizza base, crepes, multiseed bread and chocolate cake. Simply follow 3 steps and add no more than 3 ingredients and impress everyone with your homemade delicious recipes! Stay tuned for more Easy Bake products!! With only 3 steps you will prepare delicious snacks! By following the recipe your success is granted! With maximum 3 ingredients you can create tasty goods!